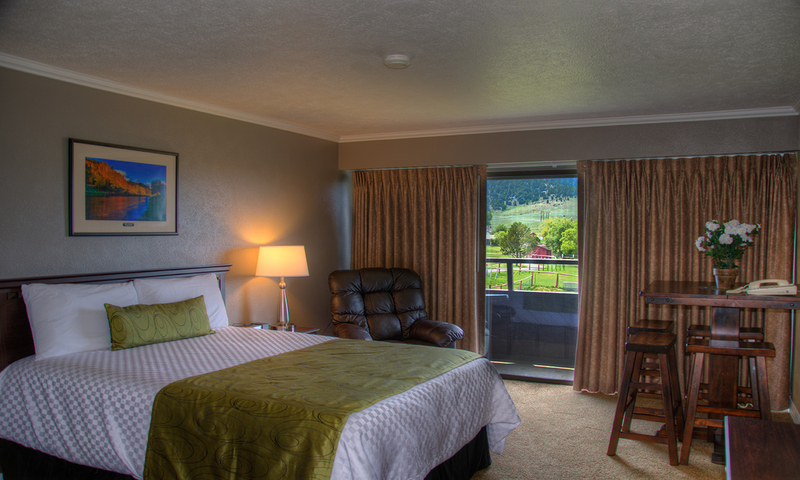 Stay one, two or more nights to experience all that Fairmont Hot Springs Resort has to offer. Fairmont has 153 spacious Guest Rooms and Suites, with lodging options that will accommodate from 2 to 10 people. Registered resort guests have 24-hour access to the hot springs pools at Fairmont Hot Springs Resort. 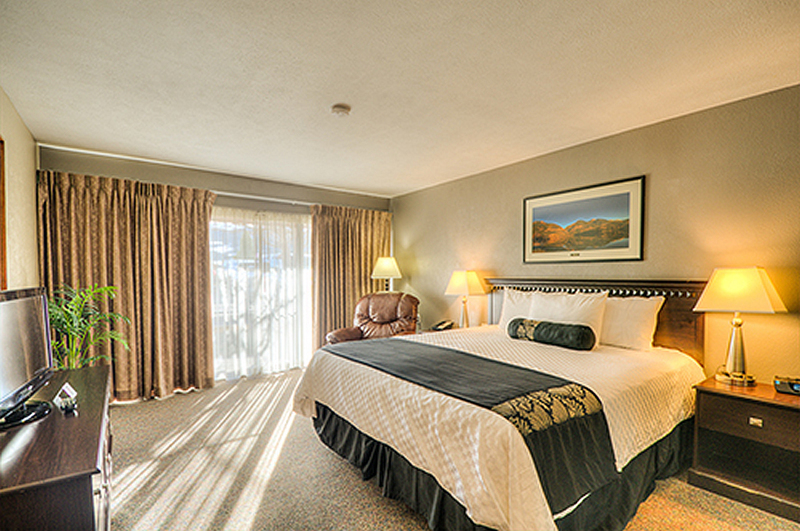 Fairmont Hot Springs Resort is pleased to offer spacious smoke-free Rooms and Suites. 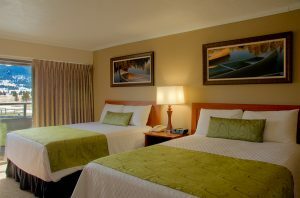 Fairmont’s spacious guest rooms will comfortably accommodate a family. 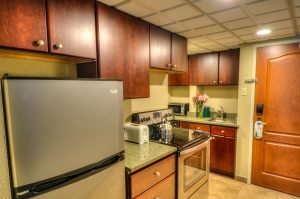 Each Room and Suite has a telephone with data port, flat panel tv with LodgeNet, AM/FM radio, coffee maker, microwave, mini-fridge and a private bath. Handicapped rooms are also available. Two elevators service the three-story resort. 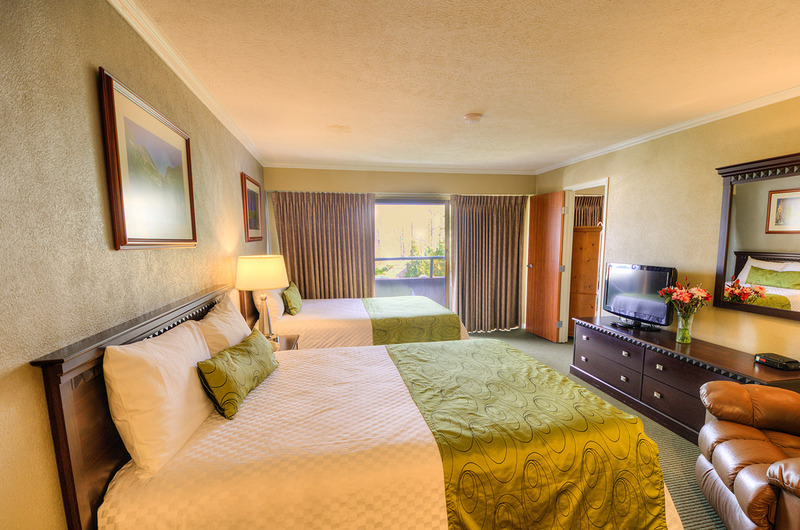 All Guest Rooms, Studios, and Suites are designated non-smoking. 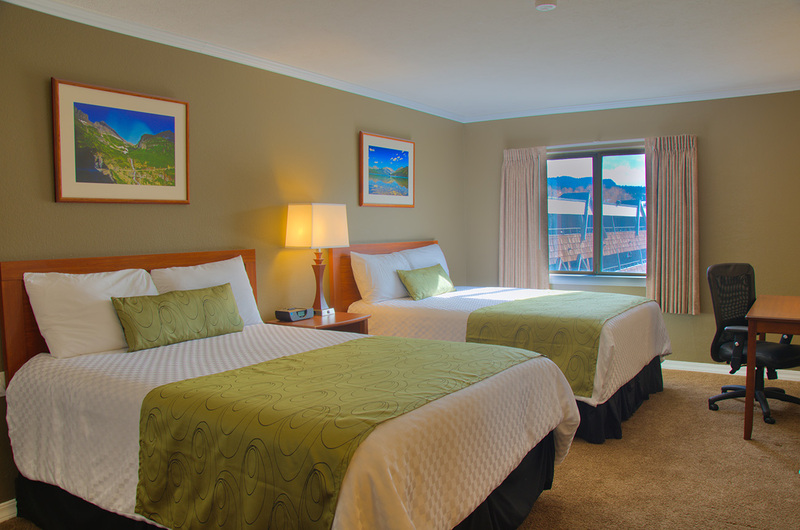 Fairmont Hot Springs Resort has 153 Guest Rooms, 22 of which are Suites with mini fridge/microwave or fully equipped kitchens. 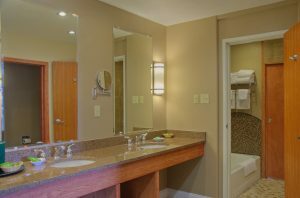 Our Special Occasion Suite “Suite 1” is a two-story Suite with a two person hot tub and a spiral staircase leading to the upstairs bedroom. Fairmont’s variety of Suites will sleep from two people in our Special Occasion, or Studio Suite up to eight people in our 2-bedroom, 2-bath Suite with full kitchen. 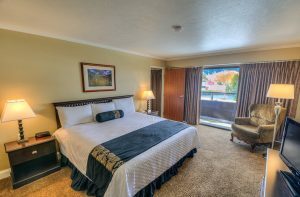 Our beautifully appointed King and Queen Rooms are perfect for relaxing after a long day. 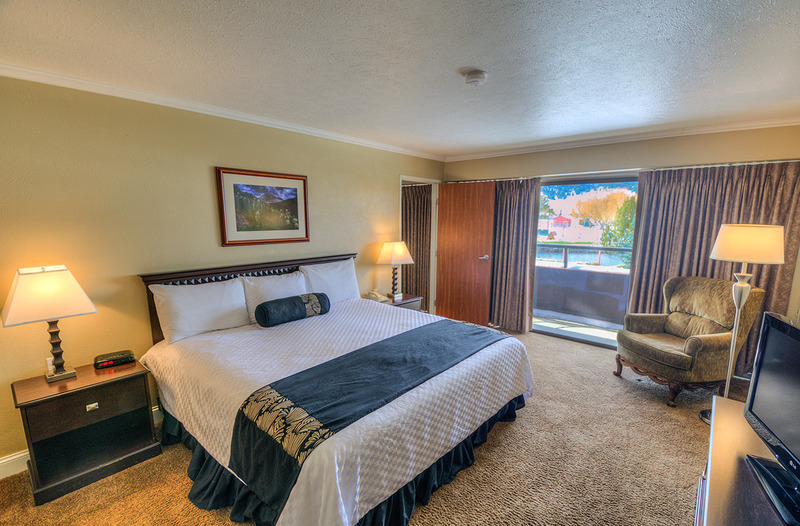 Both rooms offer beautiful views of the Golf Course and mountains. 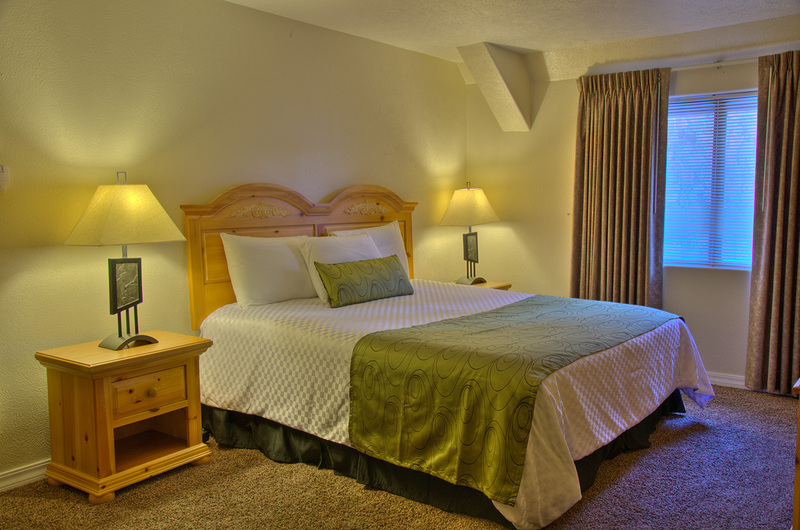 Rates for these spacious rooms are for Single or Double Occupancy. Additional Persons: $15.00 each. 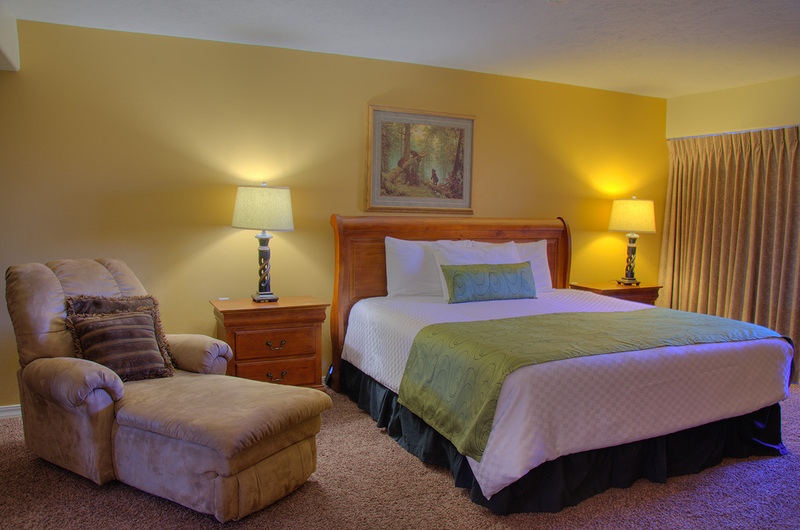 Children ages 12 and under stay free when sharing a room with parents. Occupancy may not exceed 5 persons in a Guest Room. Fairmont’s Special Occasion Suite for honeymoons, anniversaries, special occasions or your VIP. This two-level Suite which has been recently remodeled. The Suite includes a living room with LCD television, hot tub for two, dining area, mini-fridge, microwave, and bathroom on the lower level. 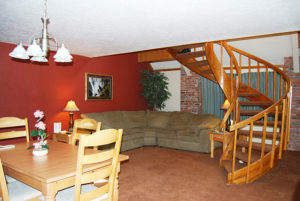 A spiral staircase leads to the upper level where you will find a king bedroom with an LCD television and full bathroom. Includes a bottle of champagne, two Fairmont champagne flutes, cheese and crackers and 2 Half Session Water Slide passes upon arrival. This Suite is an adult only Suite – no persons under the age of 18. Double occupancy only. This room is not equipped with cooking or eating utensils. Mary McAleese, the President of Ireland, occupied this unit during a 2006 visit to Fairmont. 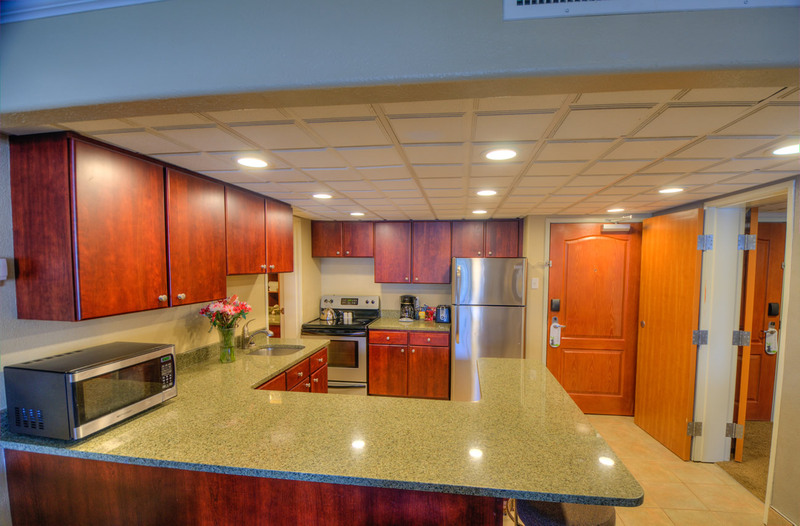 Suite 3 is recently remodeled and is one of our larger suites — great for a family or convention VIP. 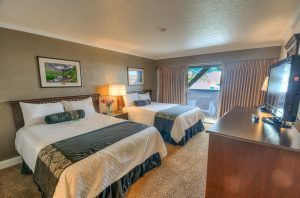 The Suite contains 2 bedrooms, one with a King bed and one with a Queen bed, each with an LCD television, plus two full bathrooms. 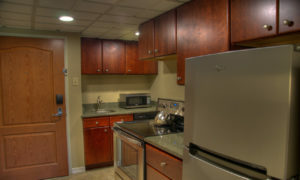 Living/Dining area includes a double sofa/sleeper, 60″ plasma television, dining set, microwave, and mini-refrigerator. This room is not equipped with cooking or eating utensils. Suite 112 is conveniently located on the Main floor. The Living room has two Queen sofa/sleepers, recliner, chair/ottoman, LCD television, dining table, microwave, and mini-refrigerator. The bedroom has a King bed, LCD television, and full bathroom. President Barack Obama occupied this unit during a campaign stop in Butte, Montana in April 2008. 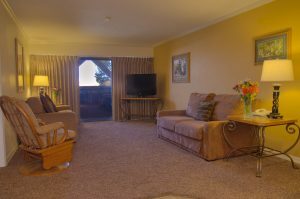 This Suite has now been renamed by the staff as the “Presidential Suite,” and is also referred to as Suite 203. 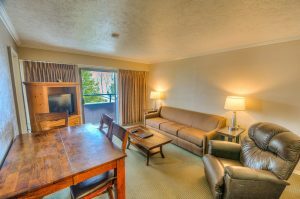 This Suite has a living room with two Queen sofa/sleepers, recliner, chair/ottoman, LCD television, dining table, microwave, and mini-fridge. The bedroom has a king bed, LCD television, and full bathroom. Suite 304 is a two bedroom, two bath Suite. The Living room has a Queen sofa/sleeper, LCD television, Granite-topped breakfast bar with microwave and mini-refrigerator, a double vanity granite topped sink in the bathroom with tile surround rain-shower and oversized tub. 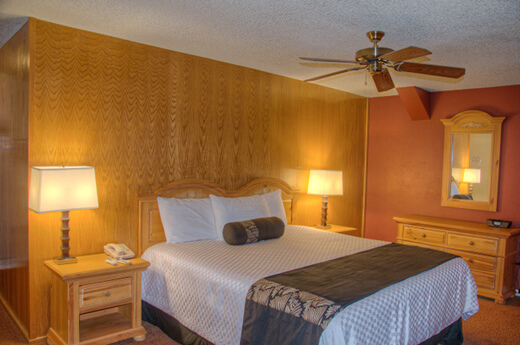 Both bedrooms have two Queen beds and an LCD television. 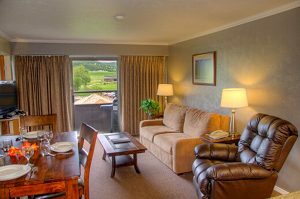 The Efficiency Studio Suite has one Queen bed, one easy chair, one bathroom, full-size kitchen appliances, dining room table with chairs and television with remote. 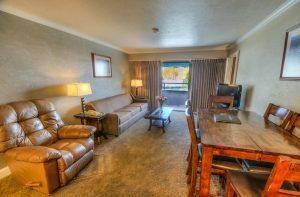 The one bedroom, one bath Suite has a King bed in the bedroom, Queen sofa/sleeper in the living room, full-size kitchen appliances, dining table with chairs, and a television in both Living room and Bedroom. 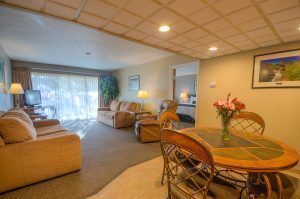 This one bedroom, two bath Suite has two Queen beds in the bedroom, Queen sofa/sleeper in the Living room, full-size kitchen appliances, dining table with chairs, and a television in both Living room and Bedroom. 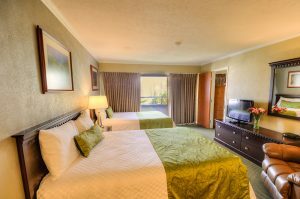 The two-bedroom, two-bath Suite has two Queen beds in one bedroom, one King bed in the other bedroom, Queen sofa/sleeper in the Living room, full-size kitchen appliances, dining table and chairs, and an LCD television in each Bedroom and Living room. * = Have indoor access to the Restaurants, Lounge, and our four naturally heated Hot Springs Pools. 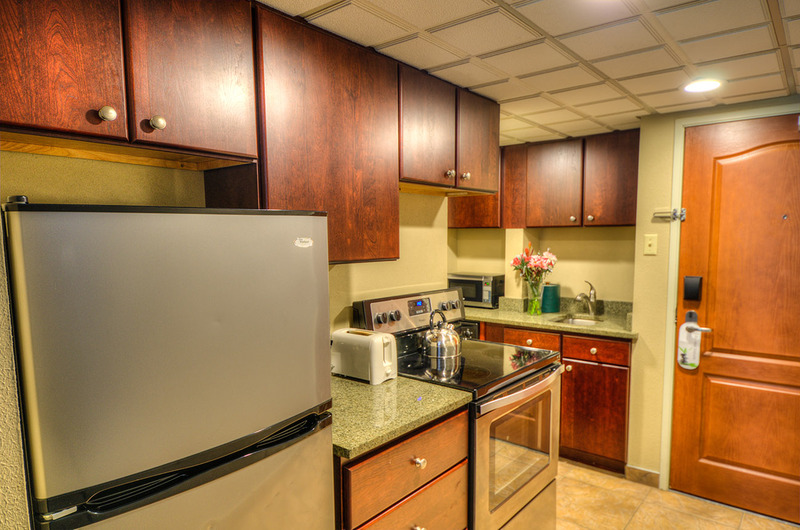 These Suites are not equipped with dishes or utensils for cooking. ** = Suites with Full Kitchen (dishwasher, range, oven, microwave, full-size refrigerator and fully stocked with dishes and cookware). 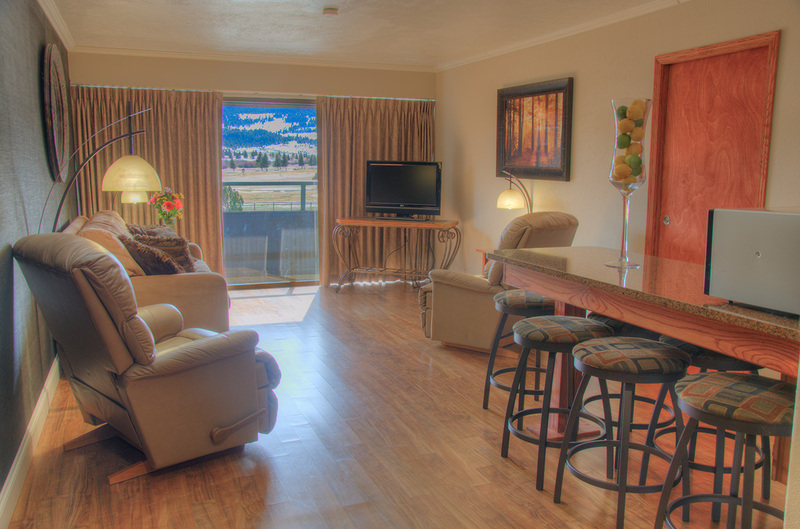 All Suites have indoor access to the Restaurants, Lounge, and our four naturally heated Hot Springs pools. There is a Laundry Room available with coin operated washers and dryers. There is a 7% Lodging Tax in Montana. A $1.00 TBID Tax will be applied to your room. 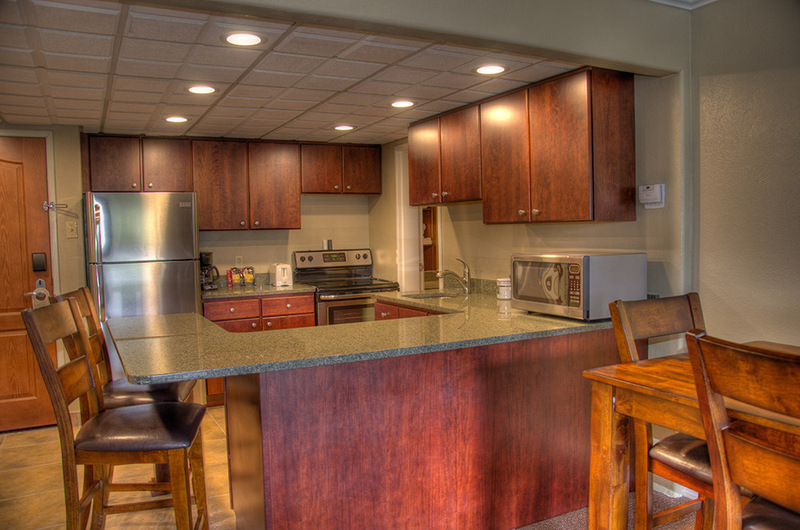 Rollaways are available for a $15.00 per night fee. Cribs are available at no charge. Please reserve rollaway and cribs in advance. Deposit required equal to first nights lodging. Rooms that are not canceled 72 hours in advance will be charged the full rate. Reservations during New Year’s Eve require a 7-day cancellation notice. Rooms that are reserved for multiple night stays and decide to depart prior to the scheduled departure date are subject to a charge of the nights already stayed, plus an additional night of lodging. Check In – Check-in time is 3:00 pm. Check Out – Check-out time is 11:00 am. 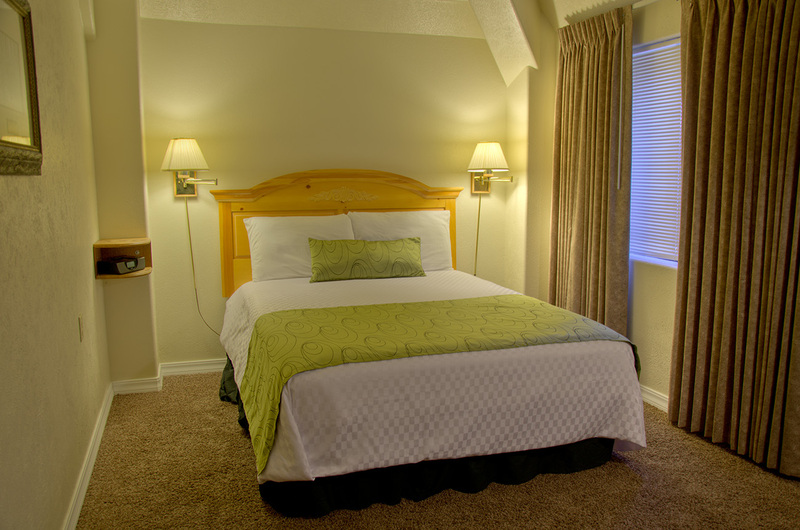 Occupancy may not exceed five (5) persons in a standard Guest Room. All Guest Rooms, Studios, and Suites are designated smoke-free accommodations. There is a $300 cleaning charge if it is determined that a guest has smoked in a Room, Studio or Suite. No pets permitted in the resort. 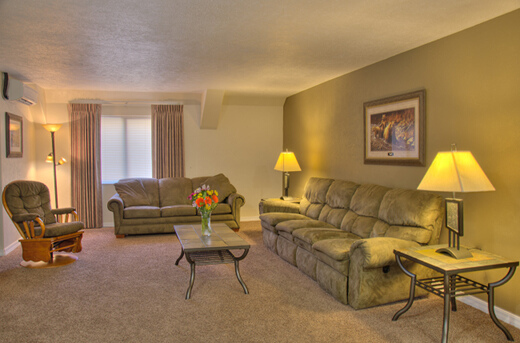 We would be happy to refer you to pet boarding facilities in Butte or Anaconda. Rates are in U.S. Dollars and are subject to change without notice.